Will Vicarious Systems' Silicon Valley Pedigree Help it Build AI? Will Vicarious Systems’ Silicon Valley Pedigree Help it Build AI? 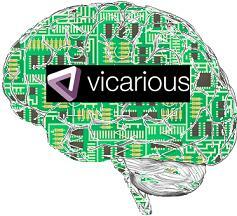 Vicarious has the Silicon Valley pedigree, but can it build AI? Facebook, Space X, Numenta…Vicarious? In Silicon Valley the pedigree for a startup can make or break it. Vicarious Systems is a fledgling company – it has just two guys in a garage-sized office in the East Bay working overtime, and planning for the future. Why should you care? Because it has the faith (read: money) of some of Silicon Valley’s most successful innovators and investors, and the technological prowess to maybe pull off the biggest goal in computer science: artificial general intelligence (AGI). AGIs aren’t just smart computers, they are machines that can think with the same cognitive abilities as human beings. I sat down over lunch with the Vicarious team, Scott Brown and Dileep George, to discuss their vision for building the AI of the future. They have a unique and intriguing sensory-mathematical-biological approach to AI, and one of their first goals is to build a visual system that can recognize objects as well as a human. They plan on hitting that milestone in just five years. Will they succeed with this visual system and then find ultimate glory in creating AGI? Much too early to say…but they paint a pretty amazing picture. Let’s get that pedigree formalized first. Vicarious has attracted money from the Founders Fund, Peter Thiel and Sean Parker’s investment group that led early investments in companies like Facebook, SpaceX, Palantir, and Pathway Genomics, among others. Dustin Moskovitz (Facebook co-founder) and Adam D’Angelo (former CTO of Facebook) also both personally invested. Add in Felicis Ventures (with Aydin Senkut, Google’s first project manager) and Joe Lonsdale (from Palantir and Clarium) and you have a coalition of some of Silicon Valley’s best and brightest. But then there’s also Brown and George themselves. Brown has several successes under his belt (including one prior acquisition and the pedigree of Y Combinator), and George used to be the CTO of Numenta, a company he co-founded with Jeff Hawkins (the serial entrepreneur behind both Palm Computing and Handspring). At Numenta, Dileep provided some of the algorithmic muscle powering applications like Vitamin D Video, who we’ve covered and praised before. The Vicarious founders and investors share a long term vision for success – they’re looking 15 years down the line. And an outside source hinted that this cohort of initial investors even wanted to put in more than Vicarious founders would allow. They have the monetary support they need, and they have the tech background to be taken seriously. So what do they actually plan on doing? Brown and George’s approach comes down to a balance between three pillars of AI research: sensory data, mathematics, and biological plausibility. You have to have a system that takes in the kind of sensory data that we humans experience, model that data in a mathematically rigorous way, and then verify the math against the neurobiology of the brain to see if you’re on the right track. That last bit is disputed among many AI researchers. Everyone has a different idea about how close to human biology we should model our thinking machines. The BlueBrain Project is more biological than Numenta, which is more biological than Vicarious, which is more biological than Cycorp and many others. George and Brown aren’t building their AI with artificial neurons, or with structures that mimic the human brain directly, like BlueBrain. Nor are they going to pursue AI using Numenta’s old Hierarchical Temporal Memory-based approach. Vicarious is using biology, but they are starting with an unique mathematical architecture and applying it to a single input: vision. For Brown and George, that single sense will be enough of a biological basis to begin their march towards AGI. They told us that in the next five years they plan on completing a system that can visually recognize objects as well as any human can. Think about that. You could use it to identify cancer in medical images, instantly ring up the entire contents of a shopping cart without barcodes, or count your calories from just a photo of your dinner plate. And it would understand that cancers, products, and foods all take many forms , look different under different lighting conditions and camera positions, and that each category has an infinite number of variations of shape, size, and position. Generalized object recognition. The applications there would be endless and endlessly profitable. But they won’t stop at vision. Brown and George laid out steps well beyond the next five years. I can’t discuss them all, but at some point, Vicarious’ little AI will need to be able to interact with its environment. They’ll “close the sensory-motor loop” as George puts it. What they mean is that the AI will need a body, it will need to poke the world and see what happens. It will need to interact with things in an physical way to discover the nuances of cause and effect. Why? As Brown says, “one of the problems in early approaches to AI is that we focused on how we teach, rather than how we learn.” Humans learn an incredible amount in their development. Much of this comes from physical interaction with their environments. We can give an AI rules, we can program things top-down, but a true learning machine will need to experience many things for itself. That’s the way humans do it, and that may be the best way for us to grow an AGI. At least, that’s the Vicarious ideal, and it could lead to some interesting places. Brown told me the AI, “eventually needs to go to kindergarten.” Let me know when that day arrives, I’ll be there with a camera. How long? For a company like Vicarious it’s much too early. As I said above, Vicarious and their investors are looking to the long term, 15+ years out. It could be five years before they even reach their first marketable milestone. The pink elephant is something all AI developers have in their rooms. That’s a sad truth. Artificial General Intelligence is one of the Holy Grails of science because it is almost mythical in its promise: not a system that simply learns, but one that reaches and exceeds our own kind of intelligence. A truly new form of advanced life. There are many brilliant people trying to find it. Each of these AI researchers have their own approach, their own expectations, and their own history of failures and a precious few successes. The products you see on the market today are narrow AI – machines that have a very limited ability to learn. As Scott Brown said, “today’s AI technology is so primitive that much of the cleverness goes towards inventing business models that don’t require good algorithms to succeed.” We are in the infantile stages of AGI. If that. Maybe the fetal stages. We’re probably going to stay there much longer than we need to if we don’t start taking some chances on companies like Vicarious. They occupy a good niche in the AGI ecosystem – an approach that may have just the right amount of biological basis. But there are other niches out there. Dozens. One, maybe more than one, could succeed, and it only takes one AGI to forever change the world. If you’re an engineer who wants to be one of the people who helps bring about that change, Vicarious is accepting a limited number of visiting fellows and summer interns. They are going to stay small for awhile, but if you think you have what it takes, I am sure they would love to hear from you. Vaporware vendors or visionaries… you’ll have to decide for yourself, just like their Silicon Valley investors did.